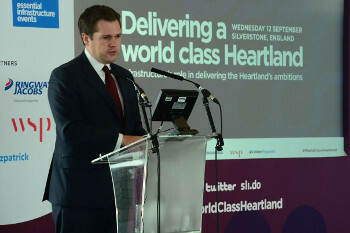 Mr Jenrick noted that later this year the Government will publish a comprehensive National Infrastructure Strategy, which he said will respond in detail to the National Infrastructure Assessment, published by the National Infrastructure Commission (NIC). The consultation document states this review will inform both the strategy and the 2019 Spending Review. One section looks at the existing tools used to support investment in infrastructure, noting that the UK Government has also historically used private investment to deliver economic and social infrastructure projects through the PFI and PF2 models but that at the Budget it announced it would no longer use these models for new projects. The document also sets out the role for government in supporting financing where it is ‘in line with broader policy objectives and offers value for money for the taxpayer’, describing the tools the Government currently uses to support financing directly, including the UK Guarantees Scheme (UKGS) and co-investment funds for new technologies. The document also looks at the institutional options for delivering government support for infrastructure finance. It notes that existing tools such as the UKGS and coinvestment funds are delivered by the Infrastructure and Projects Authority and that the UK’s relationship with the European Investment Bank (EIB) will change as it leaves the EU. It also acknowledges the House of Lords European Union Committee an the NIC recommended that if access to the EIB is lost, the Government should consider creating new institution. All interested parties’ are invited to respond to the consulation by 5 June 2019.